The moment you purchase your ACER 3ICP5/65/88 laptop battery for Acer Aspire S3 Ultrabook S3-391 S3-951, It is recommended that you use the battery's charge completely, then charge it fully, do this for at least three times. Our ACER 3ICP5/65/88 batteries are high-tech products, made with precision integrating the latest technology to ensure quality service to users. 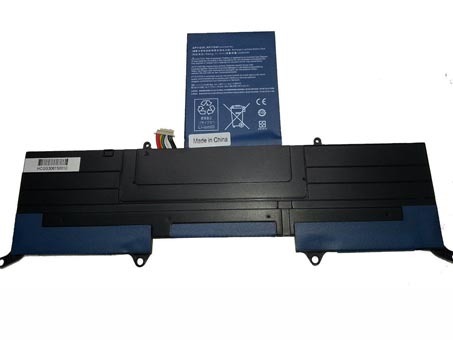 We also ship ACER 3ICP5/65/88 replacement battery to worldwide. [Note] Ship form UK by DPD mail which takes 2-3 business days to arrive ,the special price is only for UK. For the other countries, the price will be raised. Avoiding heat doesn't mean that freezing your devices or batteries for ACER 3ICP5/65/88 will make them last forever. When storing a ACER 3ICP5/65/88 lithium-ion battery, try to store it at 60 degrees Fahrenheit and with approximately a 40 percent charge.